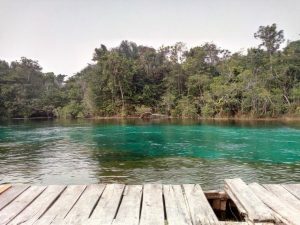 Vacation is very important part of our social life which helps everyone to be relaxed and in this article we have highlighted the best ten vacation sites in Delta State which are the most visited because of their uniqueness and these sites will always add colour to your vacation. www.naousu.com is a blog that promotes local content and like they say “charity begins at home” so we have taken out time to look inward and sell Delta State to the rest of Africa and the world using Warri as our point of focus. In this edition. 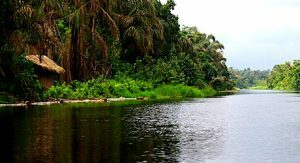 www.naosusu.com has made a list of the ten best vacation sites in Delta State. Nature has a way of helping us to relax the mind and soul and assist us to release positive energy which frees the mind from the mental, emotional and work stress. A relaxed and a refreshed mind are the main reason for vacation because a well-planned recreation helps to keep the mind in check and sane because the vacation creates a new experience that detoxifies the brain from all the negativities of the past working year. This is why it is so important to know the ten best vacation sites and their locations in Delta State so that you can choose the best site when embarking on a vacation or visit because the memories created during vacation do last a lifetime and the experience is always something we look forward to all the time. Questions like where should I use for the next vacation? Which vacation site is to you? Will I be able to create great memories? How is the facility over there? These are the frequently asked questions but we have carefully selected the ten best vacation sites and their locations in Delta state which are designed specifically for your comfort and help you create funfilled memories with your loved ones. Listed below are the top Ten(10) best vacations sites and their locations in Delta-State. Vacation In Asaba Beach Asaba, Delta-State. 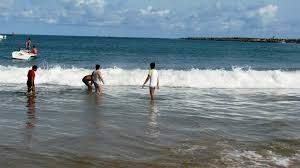 Asaba beach, Asaba, Delta-State is one of the most beautiful beaches in the state and the sand is sparkling white, and attractive palm trees which are gracefully arranged to enhance the beauty of the beach. The Asaba Beach offers a lot of activities like beach volleyball, the perfect picnic site to experience great family time. Take a tour and discover nature in its purest state. During the dry season, the sparkling sandbank of the Niger River gives you the view of your life. 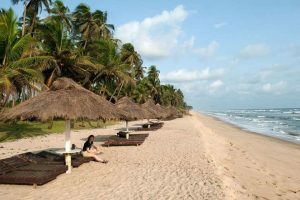 The Beach is located at Asaba Otuogo and as one of the major tourist attraction in the state, it makes our list of the best vacation sites and their locations in Delta State. McCarthy Beach, Gordon Resort Hotel, Abraka, Delta-State. McCarthy Beach resort is one of the most visited vacation sites inAbraka. The water is so bright and clear that you can see the fishes at the bottom and it has its source from River Ethiope. McCarthy Beach is one of the modernized most regular visited and patronized beach in Abraka. It is equipped with standard facilities which will definitely make your vacation a memorable one. The McCarthy Beach has indoor games, Canoe ride, garden, bush hut for relaxation, bush bar to get drinks. McCarthy Beach is situated around old Benin road in Urhuoka, Abraka, Delta-State. The beach is one of the main attraction to the State and a major boost to local revenue for those living in Abraka. It is one of the ten best vacation sites in Delta State. Olona Ranch And Resorts, Onisha-Olona, Delta-State. Take a time free from work or any stressful routine to relax and watch the sun rise and set, keep your mind locked on the natural environment, eat and enjoy yourself at Olona Ranch and Resort. You can hold conference meetings and seminar gathering at Olona Ranch and Resort. Olona Ranch and Resort is a perfectvacation site because of its clean environment which is great for relaxation and refreshment because it helps to renew your body and get to eat of highly nutritious homemade food. Olona Ranch and Resort is a perfect environment you can connect your spirit soul and body without artificial additives. It is located at Onitcha-Olona, Delta-State. And this is one of the most visited vacation sites in Delta state for those living in the north of the state. The Olona ranch and resorts are one of the best ten vacation sites in Delta State. Abraka Turf And Country Club, Abraka, Delta-State. This is one of the most visited vacation sites in Abraka because of the economic importance it is to the Delta state. Abraka Turf And Country Club is encircled and enriched with a hot humid climate rainforest and the Turf is on the edge of River Ethiope. You can ride horses or walk forest trails along the River, you can also ride ponies, swim or go fishing. In Abraka Turf And Country Club, you can enjoy the tropical sunrise in the morning by lodging in one of the Villa in the neighborhood. 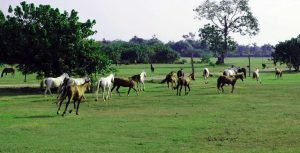 Abraka Turf And Country Club have a horse club which comes alive every year during Easter and also hosts the international Polo tournament is done there. This is one recreational site in Delta State where anyone will feel at home and it made our list of the ten best vacation sites. Abraka is one of the most visited cities in Delta State because is a home to so many vacation spots and the city is really blessed with natural endowment and with wisdom and innovative thinking the River banks were harnessed and turned into several unique beaches. Mudi Beach is a crystal clear River with white sandy sand which extended to the surrounding environment. Mudi Beach has its source from River Ethiope. Activities enjoyed at Mudi Beach includes; swimming, structures for relaxation, bars to order drinks, restaurant to eat good food and hotel for relaxation. 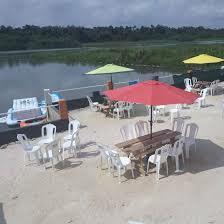 Mudi Beach is located in the town of Abraka, off Ogboru lane in Abraka. The beach is located in the heart of the city and easily slides into our list of the ten best vacation sites in Delta State. Bomadi Beach is another great vacation site if really you want to enjoy your vacation to the fullest. Bomadi beach is enjoyed as a party Beach and also an awesome site to have a picnic with your loved ones. The beach has an attractive sandy sandbank of Niger River which is situated at Bomadi in Bomadi local government headquarters. The Bomadi Beach is a home away from home because the hospitality and outdoor experience you will get is rich and filled with great memories that will last you a lifetime. The Bomadi Beach is one the best ten vacation sites in Delta State because it attracts tourist and travelers from all over the state to see nature at its best. 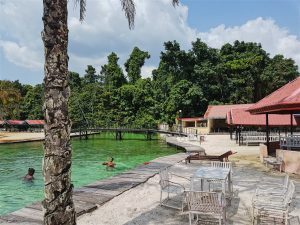 Abraka Beach is a superb vacation site in Delta State, it has recreational facilities for entertainment such as beach volleyball, table tennis, a restaurant and a bar. Abraka Beach has a shining bright river which is nurtured by a spring flowing through a forested region, Abraka Beach Resort has structured tables and umbrellas for relaxation, it also has a shinning white sandy sand, you can ride on the river using a topical boat. The water is so bright and shining that you can see the fishes at the bottom between 3-5 meters below, the river is also safe for swimming. 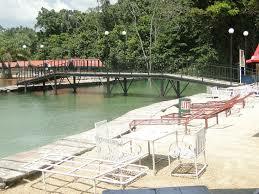 Abraka Beach is situated at Abraka resort motel in the town of Abraka. The memories that you create here will last you a lifetime and because of the standard of their facilities, you assured to get the luxurious experience that you crave for at the end of the vacation. Abraka beach made the list of the ten best vacation sites in the state. Araya is a village in Isoko and it is one of the ethnic groups in Delta State and it is believed that the Holy Bible fell from the heavens and landed in Araya Isoko in August 1914 which has become a place for Christian pilgrimage. This site attracts thousands of Christians yearly. 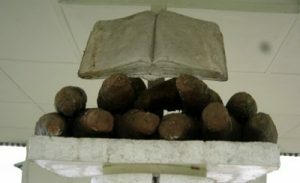 The Holy Bible was enveloped in a yam and it didn’t get wet or soaked because it was raining on that particular day when the Bible fell from the heavens. So when planning on taking a vacation in Delta State you had better add the Araya Bible site to the list of places that you should visit. The Araya Bible Site is in Isoko South LGA, and can be accessed from Warri through Ughelli and Oleh, and also from Asaba through Kwale and then Oleh. This bible site makes our list of the ten best vacation sites in Delta state because of the thousands of Christians the bible site attracts yearly especially during Easter celebrations. When on vacation in Delta State it is ideal that you visit Chief Nana’s house which is also the museum is a site to behold because of the amazing items had. History lessons are always educative and it prepares us for tomorrow because it gives us an insight into what had happened. 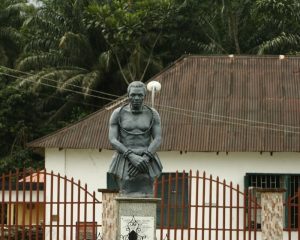 The Living History Museum in Koko is situated in Warri North and it is also known as the Chief Nana’s palace or called the Koko Place because it was the actual residence of Chief Nana Olomu Ebrohim who lived in the 19th century and he was an indigenous entrepreneur that had direct dealings with the whites and had a lot of contacts with the colonialists of the British Empire under Queen Victoria. The palace is filled with his personal artifacts and personal effects within the magnificent edifice. This goes to show that grand lifestyle and great taste of Chief Nana. You vation trip to Delta State is not complete if you have not visited Chief Nana’s house in koko. So unable nor see any place for sapele abi?